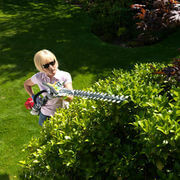 If the hedges on your property or your clients property are getting out of control and you have a Honda Kombi Power head, the hedge trimmer attachment is for you! 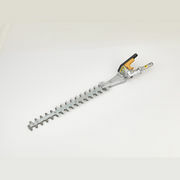 The short shaft hedge trimmer features a 550mm double sided blade also coming with a cutter guard to protect your hands from unwanted contact. You can also buy the extension shaft for $129 which can be used to extend the short shaft into a extra long one giving you the best of both worlds. 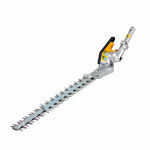 Once again the Honda Hedge Trimmer kombi attachment comes with a 4 year domestic warranty and 1 year commercial warranty.